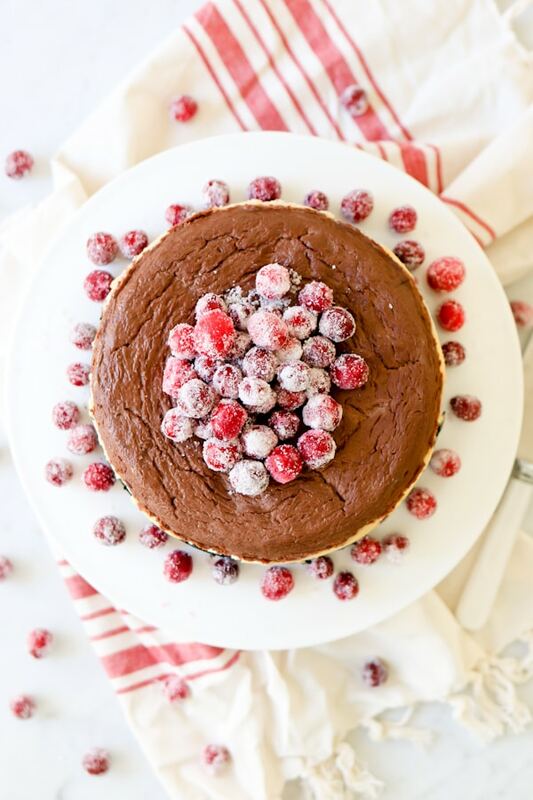 Triple Chocolate Layered Cheesecake made in a pressure cooker will be the best Instant Pot cheesecake recipe you have ever made! There is something for everyone. 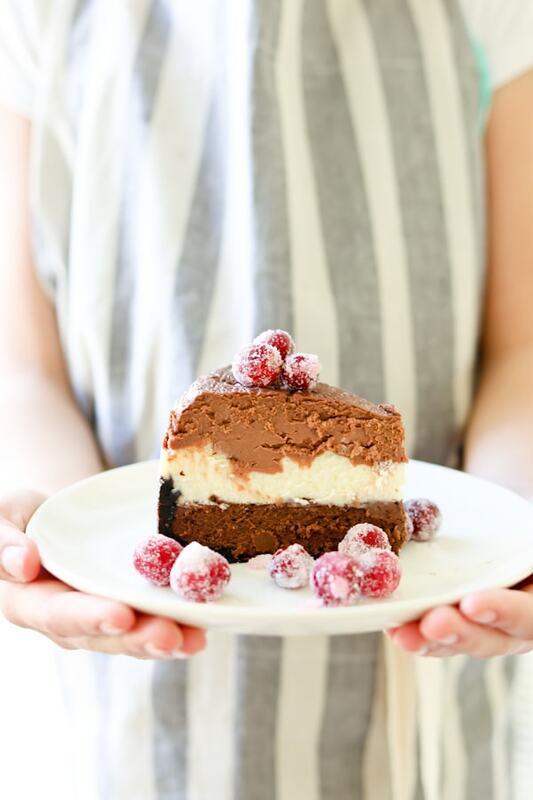 A layer of milk chocolate cheesecake on top, a white chocolate cheesecake layer in the middle, and a dark chocolate layer on the bottom, all in a chocolate cookie crust. Update 12/18/16: Since some have had issues with this cake fitting in a standard 7 inch springform pan, I suggest either using a 7 inch pan that is greater than 3 inches deep or an 8 inch springform pan. If all you have is a 7 inch springform pan that is 3 inches or less deep, simply use less batter for each level, then use the extra batter to make a mini cheesecake that you can then secretly stash in the back of the fridge for yourself (can be done in a mason jar or mini springform pan). Hey everybody! This is Marci from the food side of TIDBITS. Thank you Barbara for having us here! 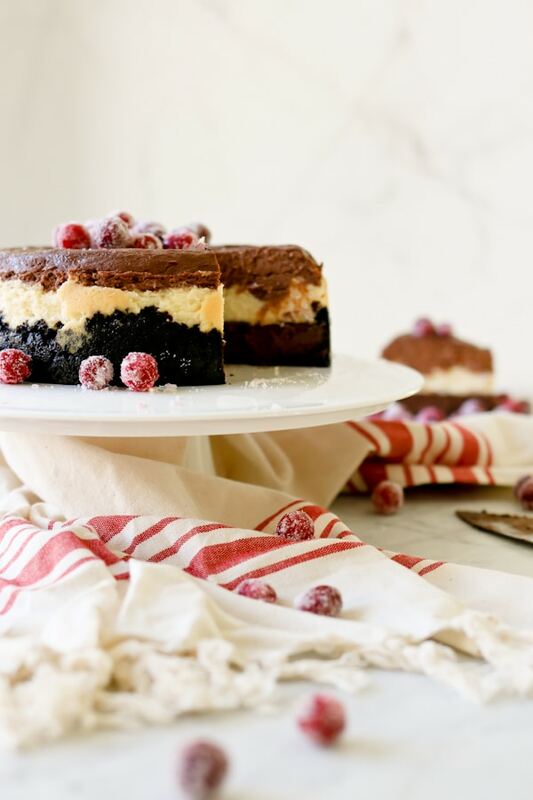 I LOVE creating recipes for the holidays, especially cheesecake recipes! Have you ever noticed how particular people can be about their chocolate? Milk chocolate lovers gag when offered dark. Dark chocolate lovers have to buy anything and everything that claims it’s dark. White chocolate lovers think they love chocolate, not realizing that white chocolate is hardly chocolate. But everyone can at least agree on the fact that chocolate desserts will never disappoint in a crowd. Like never ever. An Instant Pot is one of the most popular brands of electric pressure cookers. 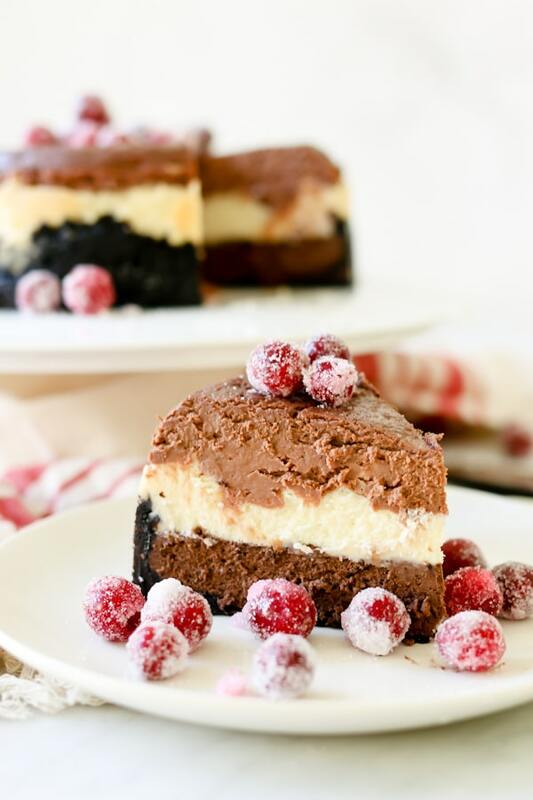 They are easy to use and your Instant Pot can help you create this delicious Triple Chocolate Layered Cheesecake recipe! If you haven’t tried making cheesecakes in the pressure cooker yet, you are seriously missing out. Before you venture into this exciting adventure, I suggest you read this post written by Barbara. The texture of pressure cooked cheesecake is like melt in your mouth fudge and I doubt I will ever make another cheesecake in the oven, ever. But let’s not overlook the fact that it is also show stopping and will earn you LOTS of oohs and aahs, which is always a bonus at parties! Bedazzle it with sugared cranberries (or crushed candy canes!) and display that baby on the pedestal it deserves! Spray a deep dish 7 inch springform pan with nonstick cooking spray (could also use an 8 inch pan that will fit in the pot, see above for pan recommendations). Line the bottom of the pan with parchment paper for easy removal of the cake once it’s done. Remove the bowls from the fridge and take the pan with the crust out of the freezer. Time to layer! Sugared Cranberries recipe from Our Best Bites. To see more pressure cooker posts from TIDBITS, start your search right HERE. 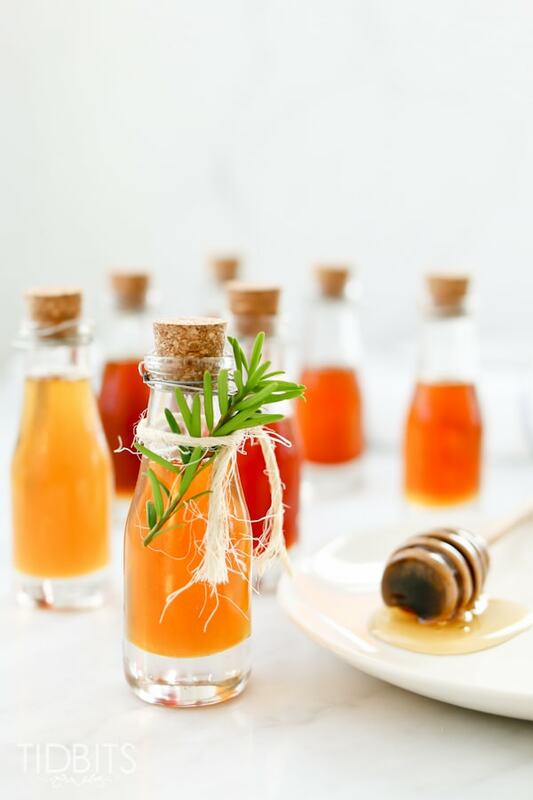 Or, for an unforgettable gift for neighbors and friends, whip them up some Pressure Cooker flavor infused honey. 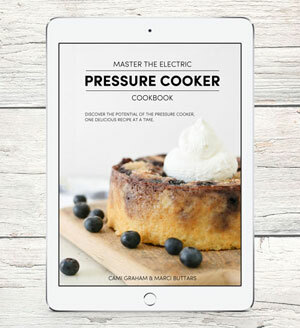 To skip right to the TIDBITS jackpot recipe source, cook your way through each food group in our Master the Electric Pressure Cooker eCookbook. Why do you use 1/3 fat cream cheese instead of regular? Just to lighten it up a little bit. You could use regular cream cheese if you prefer. I used regular cream cheese and had only dark chocolate chips, so made a marble of chocolate within cheesecake mixture. I would cut back on amount of butter in crust, as it was way too “greasy,” and not as good a texture as your shortbread cookie crust. Still fabulous and did not last. Thanks again for the great recipe…keep them coming. The marble layer sounds pretty. Glad you enjoyed it. Thanks for the update Jill. Definitely don’t try the 8” pan inside a 6 quart pot. Mine got stuck (foil sling wasn’t strong enough to get it out). I bought the exact one listed in the recipe. The recipe itself is great but my cake ended up in a jumbled mess after I finally got it out of my pot. 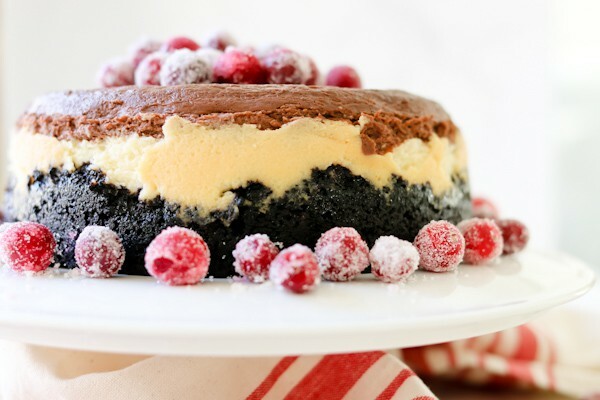 I’m making this for Christmas dessert and am so excited! One question… do you put the whole Oreo cream and all in ge blender or food processor? Thanks! Hi Jennifer – yes, I generally use the whole Oreo without taking out the middle. Enjoy! I don’t have the Instant Pot brand so I don’t have a manual setting. How would I cook This? I have a slow cooker button would that work? Hi Kristan – no, don’t use the slow cook button. Use one of the pre-set buttons (meat perhaps) and adjust the time to the time in the recipe. Made this and it was awesome! However, based on other comments these are the changes I made- I scaled the recipe to just 2 pks of cream cheese (scaled everything from my Mealboard app) and it fit nicely in my 7 inch springform. I cooked it 38 minutes since it was smaller and that was perfect for me. Also, I spread the layers a little different from the directions. I did not refrigerate the bowls of filling but put the first layer on the crust right out of the freezer and put in fridge for 10 minutes to harden and then the second, etc. When I make it the next time, I won’t mix the melted chocolate into layers 2 &3 until I’m ready to spread, as they did start to harden up. But I had nice, even layers. I invited some friends and neighbors over to enjoy it with me. It was very impressive and delicious! And definitely will be made again! Hi Peg – you are absolutely right, the tin foil does slow down the cooking. 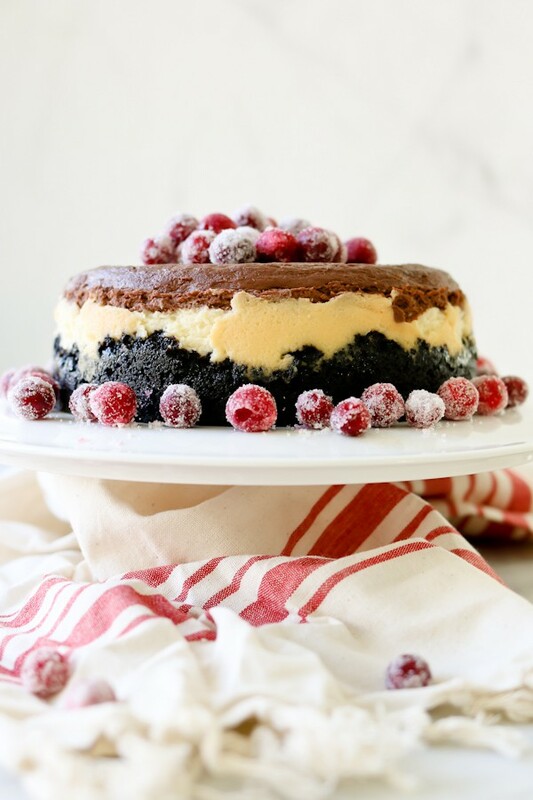 More and more I prefer cooking cheesecake without the foil and just using a paper towel to soak up any condensation – then if the cheesecake rises higher than the top of the pan, the cheesecake doesn’t stick to the foil. But it really is just personal preference. This made twice the amount of filling that would fit in my 7 in springform and I ordered the deepest one I could. I’m going to make a second one with the extra filling. JessB, my springform pan is 7 inches by about 3 1/2 inches. I’ve also made it in the 8 inch which works great but the layers aren’t near as thick, but it’s still delicious. Is the inner part of your pan a true 7 inches? What’s the depth? I know I already answered you from the TIDBITS blog, but I’ll share your experience here for others. Lisa used the chocolate chips and said it worked great 🙂 Thanks for reporting back! For those planning on making this, I made some pan recommendations just under the title to insure that the cake fits, thanks! How deep is the pan you use? I bought Kaiser Nobless pan. It said 7″ round ( in reality it is 61/2″ inside) pan and 3′ deep. Ann, I’m sorry to hear that! I made it once in a 7 inch pan and once in an 8 inch pan and I preferred the 7 inch because I liked the height on it. My 7 inch pan is a true 7 inches and 3 inches high. My 7 in. springform wasn’t deep enough… the crust & first two mixtures filled it to the top! I’m going to try cooking the 3rd layer separately & set it on top :). Next time I’ll plan ahead & adjust the recipe. Thanks for the inspiration & delicious idea! Oh my gravy, does that look decadent, Marci. I’ll admit I’m a dark chocolate lover, but any chocolate makes me happy. I think I’m gonna attempt one of these for Christmas to bring to my daughter’s house. I swore after Thanksgiving and all those goodies and a cookie swap yesterday that I’m going to contain myself and not bake until I make cookies for my Christmas cookie trays. 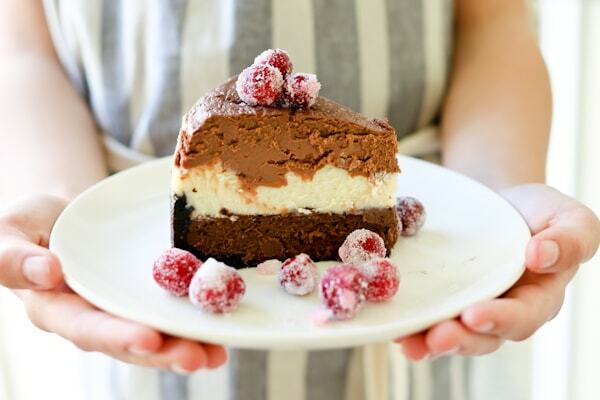 HAHAHAHA, right….I have a feeling I’ll be dreaming of cheesecake until I get one made. Thanks so much for sharing your heavenly recipe. Thanks Carol! Believe me, this one is worth the pounds 🙂 And it’ll be so worth it when you get all the swooning over your dessert. Happy Holidays! Do you cover the pan with foil before cooking? This…looks…Amazing! 😀 I can’t wait to make this for Christmas. Thank you for the adaptation! You will love it! I can promise you that! What size pressure cooker is used? 8 quart? Hi Deb – the 7″ springform fits in the 6 quart, but will work in the 8 quart as well. Do you know the max size a 8 quart PPC XL will hold? Also how much space do you need to allow around the sides? Deb, I know there are people who have been able to use a 9 inch springform in the 8 quart, but I ordered at least 8 of them off of Amazon and could never find one that would fit. There was always a ridge on it that prevented it from fitting. You just need enough space around your pan for steam to come through, which doesn’t have to be much (according to my experience anyway). This looks great. What does 3 (8oz) cream cheese mean? Is it 3x8oz packets? Hi Sue – yes, 3 8-ounce packages.